The funerals for the 12 Sago miners who lost their lives in the coal mine disaster this week are being held this weekend in West Virginia. 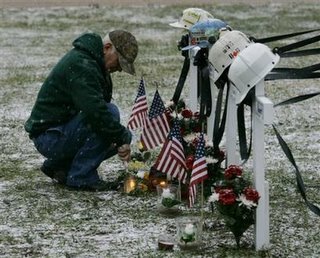 The first funeral for the fallen miners is scheduled for Sunday night. The 156 remaining miners who work for International Coal Group cleaned out their lockers late this week. ICG closed the Sago Mine because it’s now being vented so federal and state investigators can gain access to figure out how the explosion happened. Workers were told by management the pits will stay offline for at least 30-90 days. There also is a community Memorial Service planned on January 15, 2005 at 2:00 PM at West Virginia Wesleyan College in Buckhannon, West Virginia. 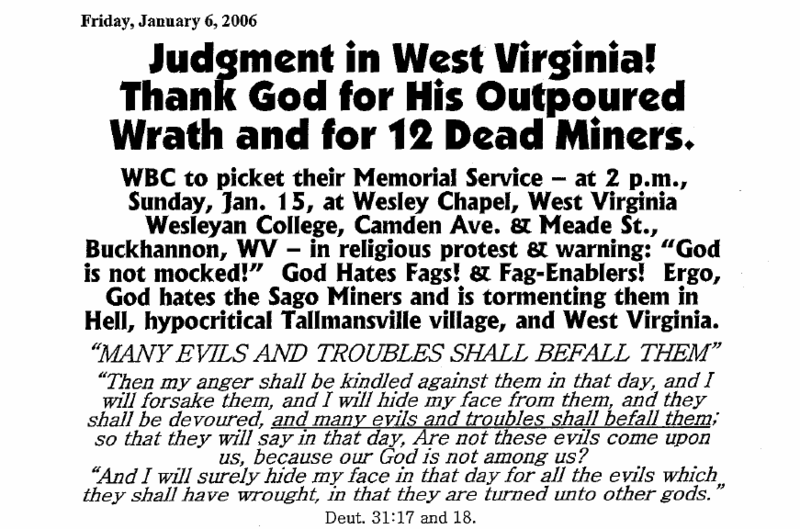 The Westboro Group who blame tragedy in America on America’s homosexual tolerance will crash the fallen miner memorial service. The hateful group from Kansas has been focusing on fallen soldier’s funerals. This is a different venue for the bunch. 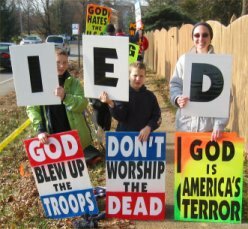 On Friday, December 23, 2005, when Army Specialist Peter J. Navarro was laid to rest, hate-filled protesters from the Westboro Baptist Church in Topeka Kansas showed up to picket at the Ellisville, Missouri funeral just outside of St. Louis. 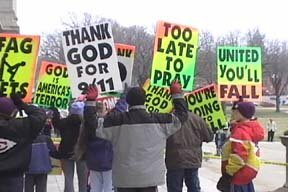 But, at several of the Westboro soldier funeral protests the Topeka bunch have met up with a group of bikers called the Patriot Riders who drown out their hate speech. Michelle Malkin has more on this wonderful group of bikers who have drowned out the hate speech of the Westboro bunch on several occasions. Hat Tip to the Anonymous West Virginia Commenter who sent the news.